For as long as my veteran colleagues can remember, the first official day of the Sundance film festival has traditionally been a quiet one. Reporters, filmmakers, publicists, studio personnel and others of the movie industry ilk are beginning to arrive in Park City, picking up their badges, meticulously mapping out what to see in the promising days that lie ahead. But before the cinematic circus that is Sundance commences, most use Thursday as a time to catch up with people they haven't seen since their last trip to Utah. Of course, the meet-and-greets are temporarily put on hold come the early evening when the opening movies of the festival are premiered. While the festival played host to four different films last night, one immediately garnered more attention than the rest. 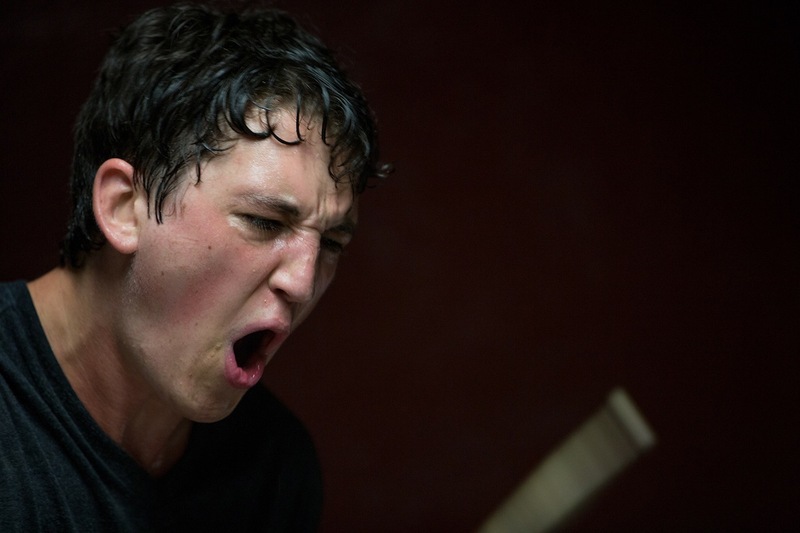 To no surprise, "Whiplash," about a 19-year-old drummer (played by Miles Teller) attending a mentally and physically demanding Manhattan music conservatory, effectively captured the interest of audiences. Damien Chazelle's sophomore effort (his debut "Guy and Madeline on a Park Bench" was critically adored back in 2009) is one of endless energy, each scene flowing into the next with up-tempo jazz and raw emotion. Much like what he did in "The Spectacular Now," Teller creates a three-dimensional protagonist in Andrew Neyman, a freshman student who spends a bulk of his time maniacally practicing the drums, idolizing Buddy Rich and taking stern criticism from his notoriously belligerent music instructor Terence Fletcher (played by J.K. Simmons). Rugged and combative, Fletcher runs his class like it's a musical subsection of the military, vulgarly berating his students after they make a mistake, often to the point of tears. It's through Simmons's portrayal of this bellicose professor that "Whiplash" makes its incisive critique on the "everyone receives a participation award" culture we've come to inexplicably inhabit. Come college just about every wide-eyed freshman has grand plans to procure their dream job and lead a wonderfully fulfilling and grandiose life. Unfortunately, despite what Hollywood tends to tell us, a happy ending is not in the cards for anyone who works hard or tries. There comes a point where optimism can no longer replace talent. "Whiplash" has no qualms with presenting us with the harsh reality of pursuing work in a creative field. Perhaps Chazelle's fearlessness in this subject comes from his experiences as an undergrad at Harvard. His intricate construction of this cutthroat conservatory, where competition is steep and failure is looming, casts a sense of perpetual fear in Andrew—who, no matter how poorly he treats others, we continue to root for. In part, "Whiplash" is an exquisitely edited and composed cautionary tale of a one track-mind, where one's passion is no longer apart of their life, but is their life. On the other hand, Chazelle seems to contend that perhaps living so insularly is worthwhile if the end result produces a Miles Davis or a Louis Armstrong. No matter, it's always nice to begin a festival with a film that is both intellectually challenging and downright entertaining. The final ten minutes of this movie alone, which consists of a legendary drum solo of epic proportions, is worth the price of admission. It's no surprise that the film was picked up for distribution within hours of this screening. 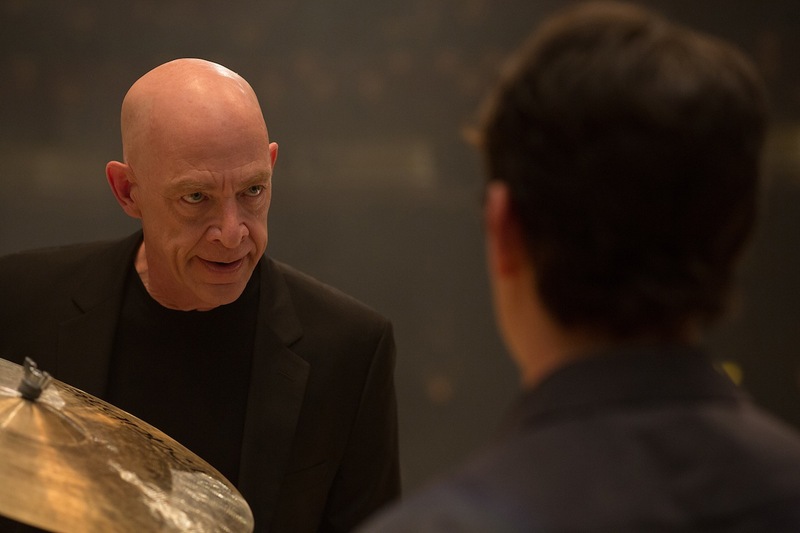 "Whiplash" bangs its drum to a vibrant and unique beat. Here's hoping the rest of the festival can do the same. On tap for day two: "Locke", "Only Lovers Left Alive", "Memphis" and "The Double".